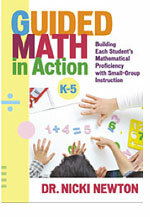 Here is a great video showing math toolkits! Remember that tools are important. They help students to think! Watch this. There are so many things you can do with the beaded number line – counting, skip counting, place value, rounding, adding, subtracting, number patterns, multiplication, division… oh my! There is so much stuff. Wow!!!!! A Must SEE for k-5. Here is a great story to help with telling time! A wonderful participant just shared it at the Guided Math Conference just now!